So you’re trying to eat better, work out, and get healthy? Great! A lot of guys are cutting the junk out of their diet so they can look and feel better. Unfortunately, this can mean falling for some health food scams. Food companies work hard to deceive you into believing that the food they’re selling you is healthy. Here is a list of 10 health foods that aren’t really healthy for you. Diet food is one of the unhealthiest foods you can eat. They have no nutritional value and are crammed full of synthetic sweeteners, additives, and preservatives that fill up your stomach but do nothing to nourish your body. Read the label on any “diet” food. You’ll be amazed at how many of them you can’t pronounce. If you’re worried about high cholesterol and heart disease, it will really surprise you to know that saturated fat isn’t the cause of these problems. It’s actually trans fats you should be avoiding. Margarine is a mess of chemicals designed to look and smell like butter. It’s actually made from de-gummed crude oil. It is hydrogenated, bleached, and extremely refined. Just avoid it. 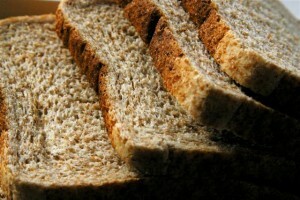 Have you ever read the label on the back of the bread you eat? The amount of preservatives and additives in this kind of bread is incredible. 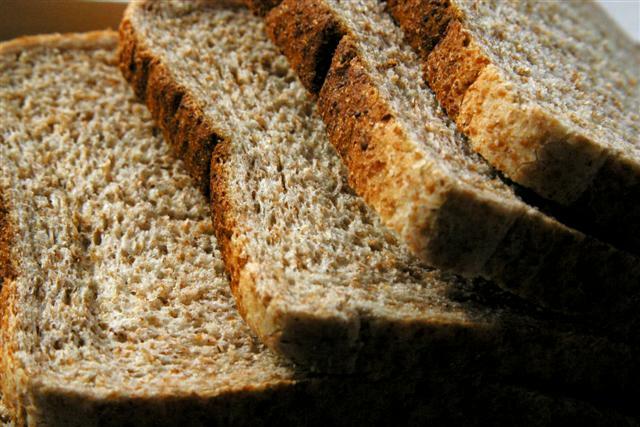 Multi-grain bread may sound healthy but it’s made from bleached, refined flour that has no nutritional value. If you bread says “bleached” or “enriched”, steer clear. Trading your soda for water is a good idea but not if you’re drinking vitamin water. This stuff is really just glorified sugar water filled with synthetic vitamins and sweeteners. It’s doing nothing for your health. You’re better off flavoring your water with some lemon or lime juice instead. Protein bars can improve your bodybuilding but only if you choose the right ones. A lot of the popular protein bars out there are stuffed with a bunch of additives and preservatives that will do nothing to improve your game. Eat raw, organic protein bars instead and avoid the soy. Studies have shown men who consume a lot of soy are at increased risk for developing erectile dysfunction. At first glance, trail mix seems like one of the good guys, right? Depends. If the mix you’re eating is just a bunch of nuts, salt, and oil, you’re good but beware the imposters. Anything with candy in it is not healthy for you and will just pack on the pounds you’re trying to lose. One of the worst health foods you could put into your body isn’t a food, it’s a drink and it can be deadly for you. Diet soda is loaded with aspartame, a synthetic sweetener that’s been linked to nervous system disorders and weakened immune system. Cut it from your diet now. What’s wrong with fruit juice? Nothing, if you don’t like fruit. Many of the fruit juices you see on your grocer’s shelf are loaded with food dyes and processed sugar. It’s anything but healthy for you. Yogurt is a health food but only if you know the right kind to buy. A lot of the popular store-bought brands contain aspartame, food dyes, and other preservatives that have no business being in your body. Organic Greek yogurt is your best bet because it’s packed with muscle-building protein without all the unnecessary additives. Microwave meals are packaged and promoted to look like health food but they’re anything but. It doesn’t matter what brand you like, none of it is good for you. Not only are they loaded with preservatives, they’re cooked in the microwave and cooking in a microwave is not good for your health. The heating process zaps almost all the nutritional value from your food before you ever get it on your plate. The best way to get healthy and stay in shape is to fuel your body and your workout with whole food. Get back to basics and you’ll feel and look better than you have in years!